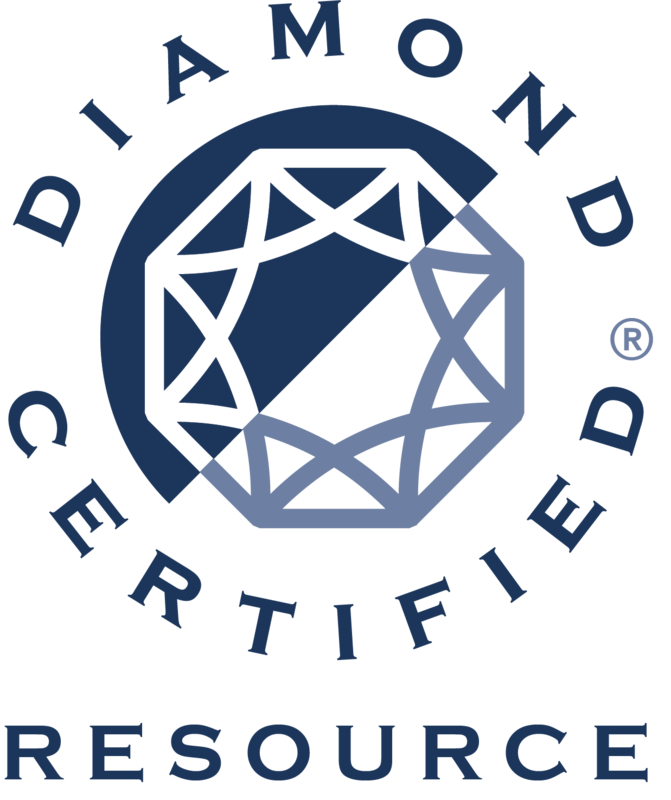 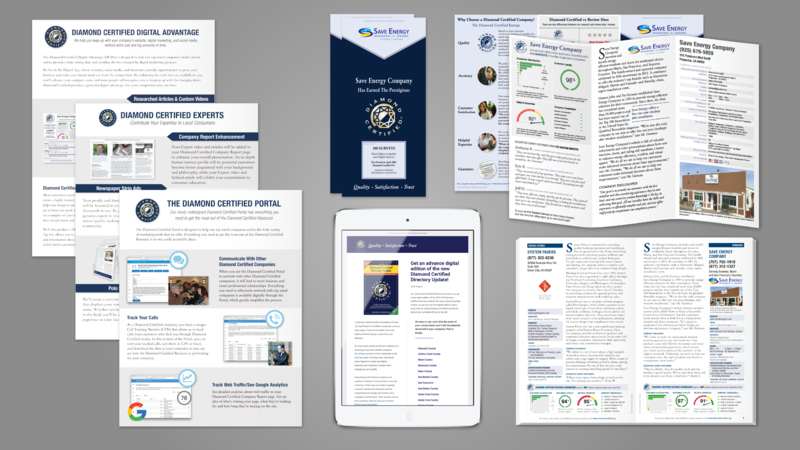 As a full-time Graphic Designer for the Diamond Certified resource, it was my goal to update the visual branding to develop a clean and consistent aesthetic across all media. 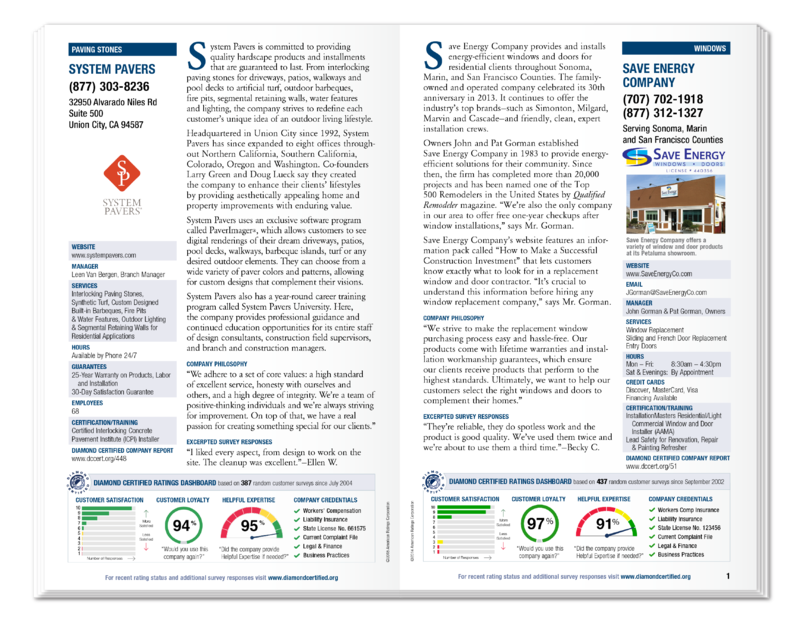 Some projects are represented here, such as: email campaigns, B2B sale sheets, client brochure and directory page listing templates. 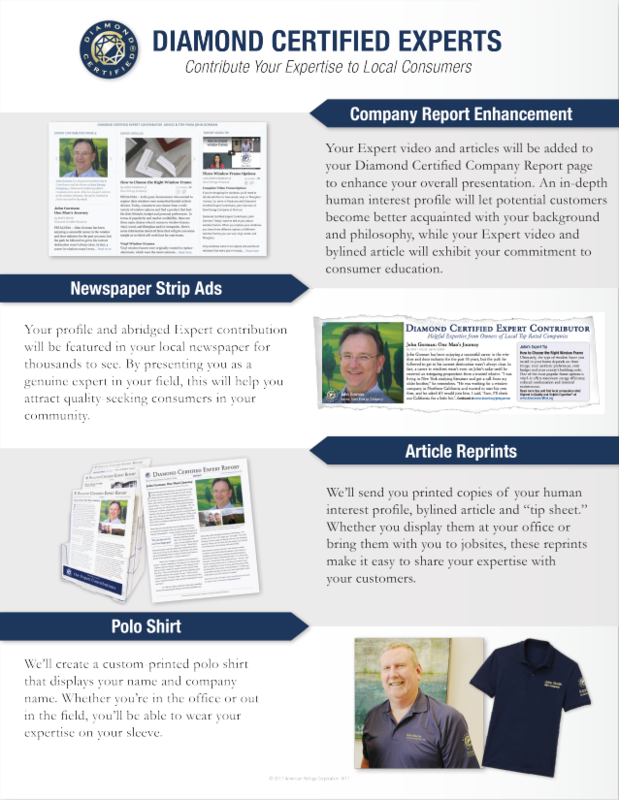 Business to Business sale sheets, redesigned for consistency and brand improvement. 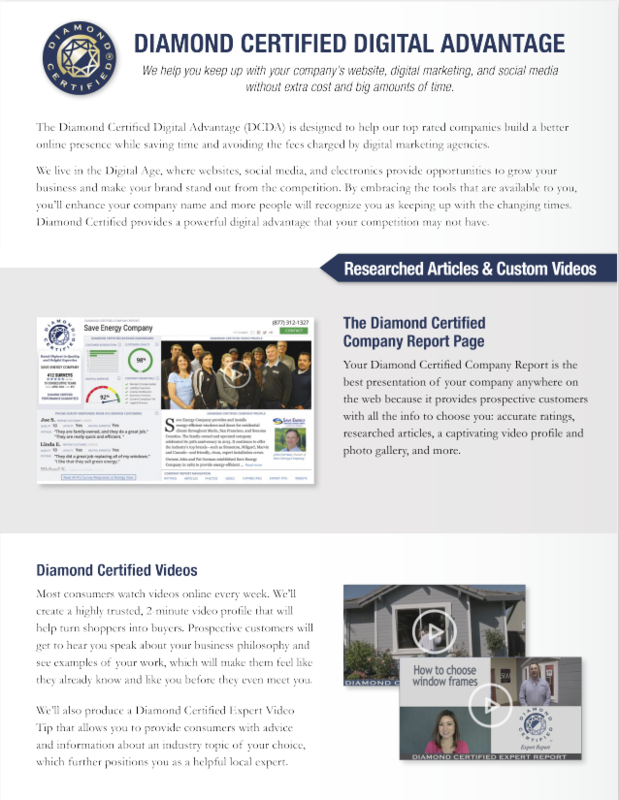 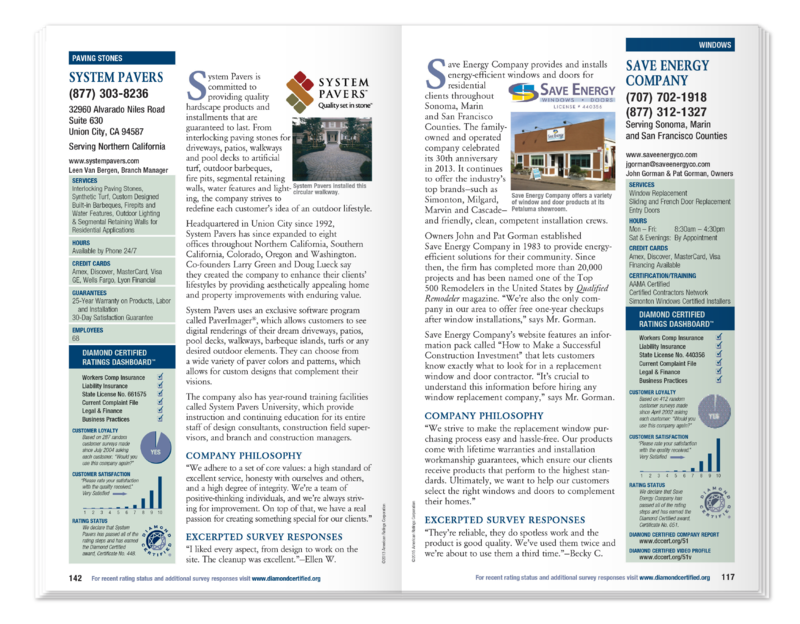 A before and after of the Diamond Certified Directory listing pages redesign.